SailNet Community > On Board > Gear & Maintenance > Ripped off ? or a fair profit ? Ripped off ? or a fair profit ? 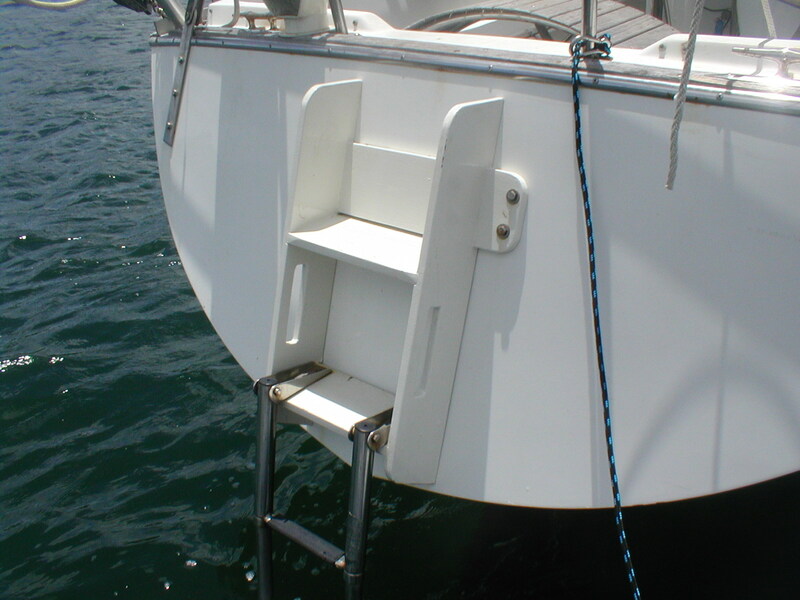 Recently I have had to replace two items on my boat both are safety related. The first was the LPG solenoid. If I bought one from the local chandler it would be the same as the one that had just disintegrated in a pile of rust in less than 2 years and would cost 95 $ US. If I bought one from China it would have a brass body and would cost 9.71 $ US plus 4 $ US postage. It might last longer than the crappy expensive steel one. The second is my swim / boarding ladder. The part that needs replacement is stainless steel 4 step telescopic ladder. They last about 4 years but the welds fail on the bottom step even though it gets pulled out of the water most days. If I buy from the local chandler it is 289 $ US EXACTLY THE SAME ITEM is available on Ebay and Amazon for 49 $ with free postage sometimes. So the solenoid bought from the local chandler would cost 978% more. The telescopic ladder 590 % more. I bought the Chinese solenoid when I saw the steel one rusting badly. I will buy a spare 49$ ladder the next time I go skiing in Salt Lake City. If I had to buy locally would I feel ripped off? You bet I would. I accept that I will have to pay more in the Eastern Caribbean but they are pushing it. Re: Ripped off ? or a fair profit ? That looks like a Windline ladder. If so, they are very good at support and replacement for failed ones. I find no-brand things like bilge blowers, bilge pumps, etc to be the exact same as those from Rule, Atwood, etc - to the point of having only a different sticker in the place boxed out for a sticker - and they cost 1/4 of the name brand ones. 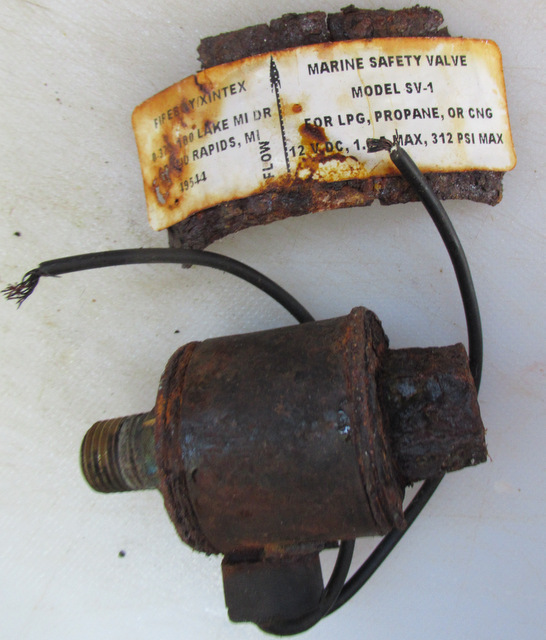 Likely your solenoid will be fine, if not better than the expensive marine ones. I know the cheap $10 propane regulator I bought has outlasted the $80 marine brand one that looks just like it internally and externally. I had a rusted out swim ladder on which the bottom step failed. I found exactly the right ladder at Overton's (I think) for a quite reasonable price, something like $80. It has held up just fine for two years so far. Sounds like capitalism at its finest. They are selling at an exorbitant rate because they can … or they think they can. The market will tell them pretty quickly. Yeah the solenoid for $95 is an absolute RIP off. There is nothing special about a "marine" solenoid, in fact if the marine version corrodes it is worse than a commercial grade valve, which is usually brass, and a fraction of the price. 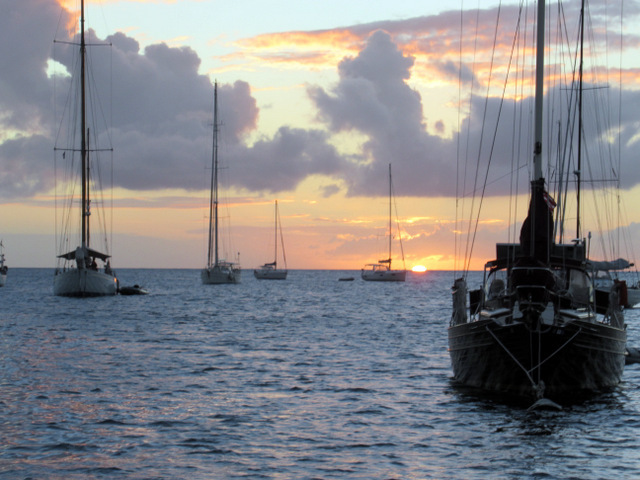 Businesses feel entitled to Jack up the price because it is associated with "yachts". Here's an example of the reverse. TMC electric toilet recently for sale at our local chandlery (Whitworths) A$200.00 or thereabouts, Fleabay had two resellers offering the same item at A$600.00+. Just have to know your prices. No comment on prices in the Caribbean but glad to hear someone living on a boat spends his vacation skiing in SLC. TQA living the dream. There are a number of surrounding issues, although, in the end, some chandleries are just ripping you off. That said, to round out the perspective, the chandlery most likely paid multiple times what you think to acquire it themselves. In some cases, that's simply because they bought in small quantity, while other supplies are dealing in wholesale quantities. The local store might also have it on the shelf for long time, incurring interest expense, before they get their cost back, let alone a profit that will pay for the rent and lights. There can also be a liability difference. When the exact same part is sold for marine use, it could contribute to a drowning or destruction of other million dollar yachts. If sold for a less risky use, their regulatory or insurance costs can be a fraction. For example, I bought I single engine airplane, when I was in my 20s. I scrapped up everything I had and borrowed some money. I was then broke. The alternator failed shortly thereafter. It was exactly (I mean zero modifications) an AC Delco Chevy alternator. I could have bought a new one for $80 or had mine rebuilt for much less at a local autoparts store. Instead, I was required to get one with the proper FAA paperwork, which did nothing but put the supplier in the line of liability. It cost $200. There was no choice. I own one of each of these, and both are in operation, and I can tell you that there is not a lick of difference between the two except for the thin sticker around the middle. I suspect that all "manufacturers" are not actually making these, but getting their supply from the same builder.